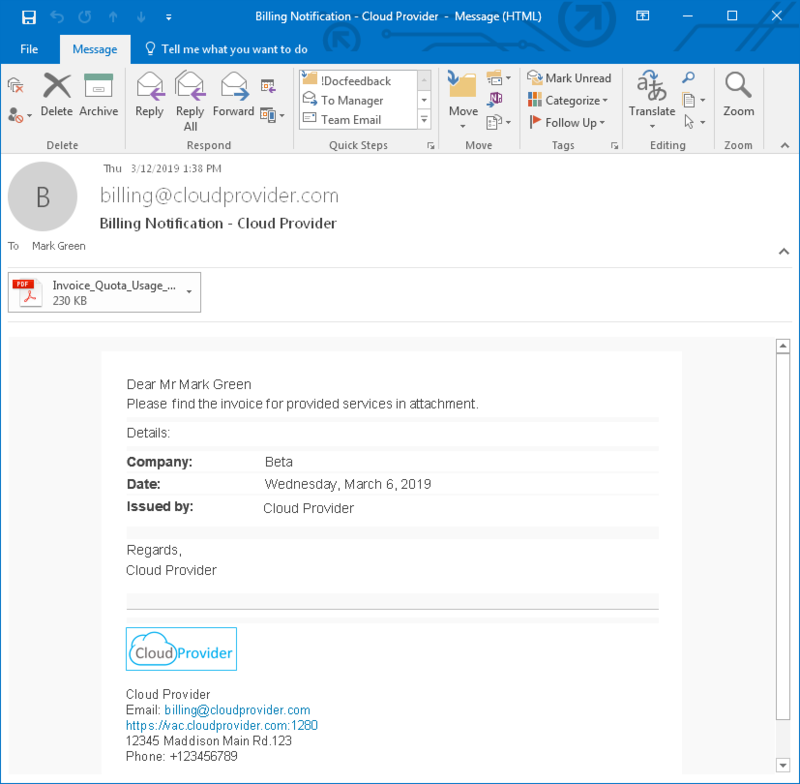 A billing notification is an email message with an attached invoice sent to a client. The following image illustrates what a billing notification looks like. Only the Company Owner can receive billing notifications. The Company Owner in the user profile can specify an email address at which billing notifications must be sent. For details, see Modifying Own User Profile.